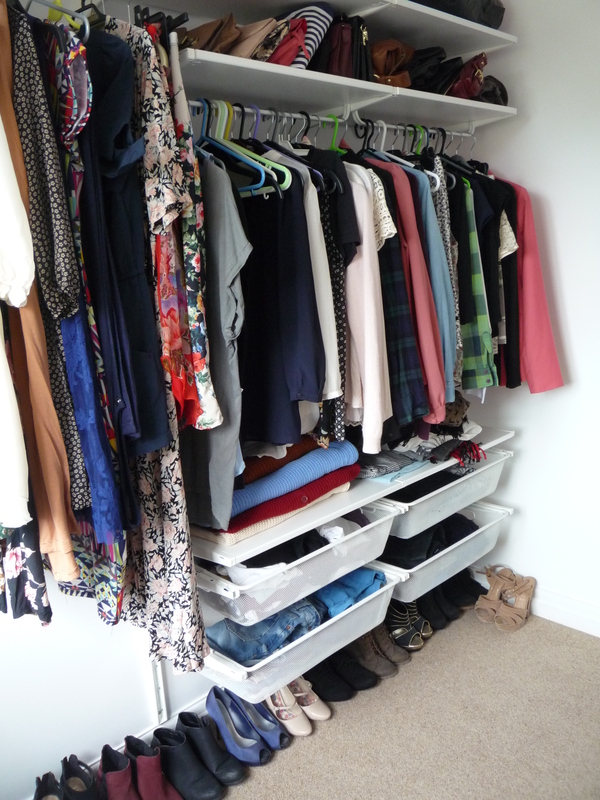 Room Transformation – Tiny Bedroom to Closet! 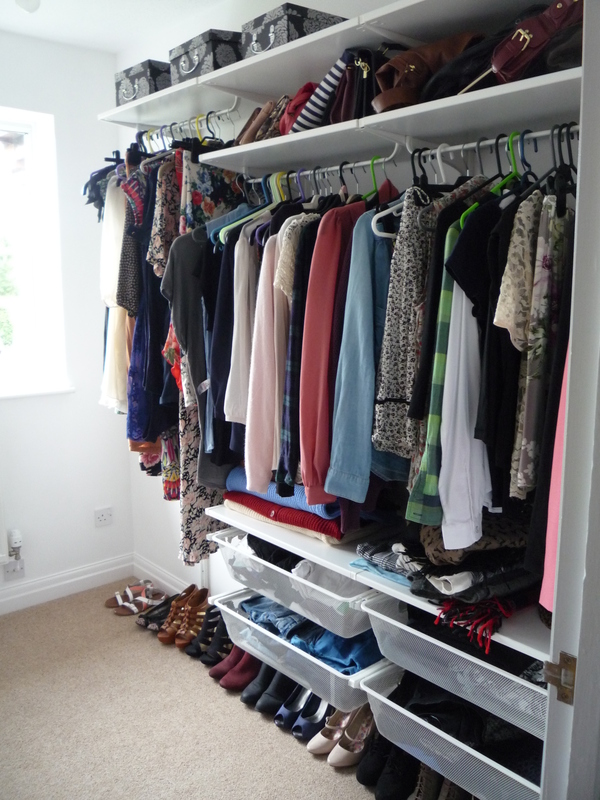 My second favourite room in the house (after the master bedroom) is my new ‘walk in wardrobe’. This technically the third bedroom, although it is so small my boyfriend can stand in the centre and touch the sides. I had my heart set on a closet ever since we decided it was more practical to buy a 3 bed house rather than a 2 bed. Having moved from a one bed flat, we don’t currently have anything else to fill the space! I painted the whole room bright white for maximum light and space. This is the ALGOT storage system from IKEA. You can choose what type of storage you want (rails, shelves, baskets, shoe racks etc) and move them into various different arrangements just by clipping in and out of the wall brackets. The downside of this versatility is that my system had to be purchased in 40 separate parts – something to be aware of! It is wall mounted so probably wouldn’t stand up to a hefty weight – but saying that, it’s stood up to the weight of all my clothes so far!